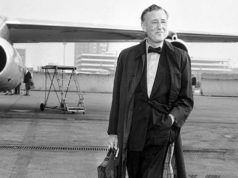 The first quotes about the clothes in Ian Fleming’s books are about Bond in black tie, which is what we also first see Bond wearing in the films. 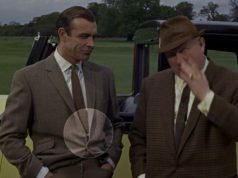 The scene in the 2006 film Casino Royale where Bond admires himself wearing the dinner jacket he got from Vesper in the mirror also recalls this scene, though Bond in the book already knew how to wear a proper dinner jacket and did not need help from Vesper. We don’t know what colour his dinner jacket is, if it’s black, midnight blue or cream, and we don’t know any of the specific details. 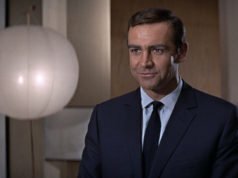 Shawl collars were the most popular style in the era, but peaked lapels could have also been a possibility. Kind regards and keep it up! Where can I see, or find, one of these pyjama coats? I have been trying for some time. Perhaps a custom job? Or alteration to another garment? I just can’t seem to envision it. Would be shockingly pleased if anyone could offer information. Thanks!